7 Years in a row FEEL ranked in DJ MAG TOP 100. DJ Feel is the leader of Russian dance club music, which turned millions people into clubbers and gave an impulse to develop their talents to many new Russian bright stars of electronic dance music. 2014 started with collabs: "Roger Shah & DJ Feel feat. Zara Taylor - One Life", "Feel & Vadim Spark feat. Chris Jones - So Lonely" and "Feel & Alex MORPH - Trancemission Anthem" Author of the OST to Russian blockbuster “Shadow-boxing”, music video on which is in rotation on MTV Russia. Producer of the biggest trance music festival in Russia ‘Trancemission’, creator and host of the legendary show ‘Trancemisson’* on Radio Record for 13 years already, DJ Feel was named No. 56 DJ in the world in 2012 by the prestigious DJ Mag Top 100 (No. 55 in 2008, No 30 in 2009, No 41 in 2010) and number 1 in Russia, voted for by DJ.RU in 2010/08/07). Feel is the only DJ who accompanied DJ Tiesto and Paul van Dyk in their Russian tourney and played as warm-up for them. Moreover, DJ Tiesto and DJ Feel are the only trance DJs in the world to play on the Red Square in Moscow. 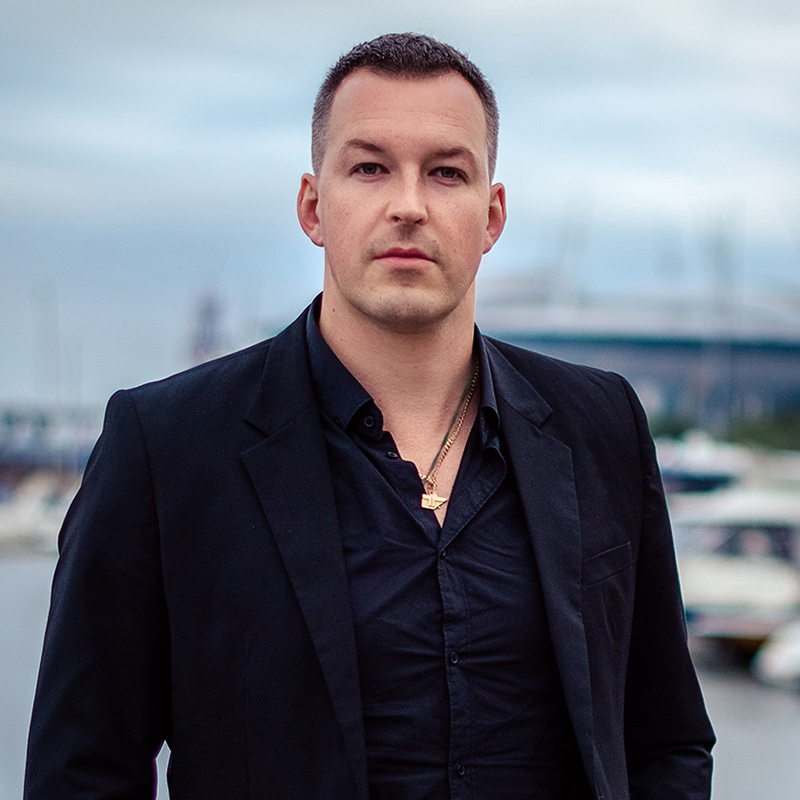 We all know Feel is the only Russian trance DJ playing his tracks in the worldwide-known festival ‘Sensation’; besides, he’s an MTV Russia Movie Awards ceremony official DJ, and the first one to create his album ‘The Concert’ in collaboration with a live string orchestra. 2011 was full of studio work – from remixes on Paul Oakenfold, Aly&Fila, Marcel Woods and many others to massive production of tracks for the new album, which will come out in spring 2012. 2010 and 2011 were marked with just another outstanding happening – the ‘Trancemission’ festival, the biggest and the most important event in Russian trance music live; Armin van Buuren, Paul van Dyk, and Ferry Corsten took part in a series of Trancemission shows last year. Do you consider trance to be a kind of entertaining music? – Exactly, but we can say even more, trance saves lives! As an Ambassador for Dance4Live, the international movement promoting awareness of HIV/AIDS, together with Vladimir Pozner, DJ Feel released the official Russian Dance4Live hymn that got support of more than 70 radio stations in more than 300 Russian cities, and was welcomed by Armin van Buuren and DJ Tiesto in such popular shows as ‘A State of Trance’ and ‘Club Life’ and so on. Cooperation with Nastya Zadorozhnaya, singer and the lead character of MTV show ‘Club’, gave birth to the new season main theme with DJ Feel taking part in. His and Yulia Pago tracks received recognition from the listeners of 100 radio stations in more than 250 cities of Russia including Europa Plus, RusRadio, Radio Record, and so on..